There we have it, ladies and gentlemen - the end of an amazing year in XR. From Arizona Sunshine selling like hotcakes on PC and the very first XR Connects event in London in January through ARKit’s consumer launch in September and Microsoft joining the fray with its Windows Mixed Reality headsets in October to December’s news that PS VR has sold 2M units and our first look at the Magic Leap, there’s been a lot of VR, AR and MR for us to report on in 2017. 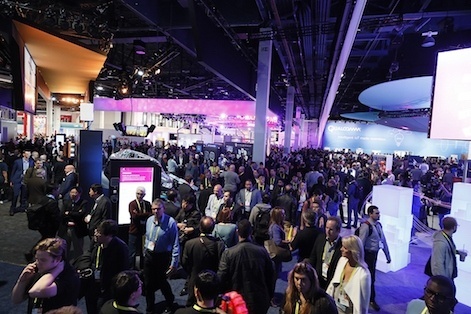 2017 kicked off in fine style with the Consumer Electronics Show 2017 in Las Vegas, USA, where the Stateside crowds met wireless VR from TPCast, Lenovo's 'holographic headset' - that would go on to be known as Windows Mixed Reality - HTC’s Vive Tracker and Qualcomm’s new Snapdragon 835 processor. 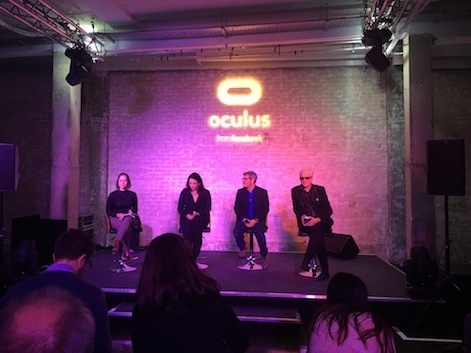 But that wasn’t the only event in January, with the first ever VR Connects London at the Brewery. The event returns in 2018 - now rebranded as XR Connects London to reflect the progress of AR and MR alongside VR. And it wasn’t a great start to the year for Oculus, with the start of the trial defending against Zenimax’s accusations of IP theft at a time when Rift trailed Vive significantly in market share. Some pundits had Facebook’s acquisition on the ropes at the opening of the year, but Oculus came out swinging and consistently gained momentum in every quarter. The lawsuit filed by ZeniMax against Oculus VR in 2014 initiates Texas court trial. 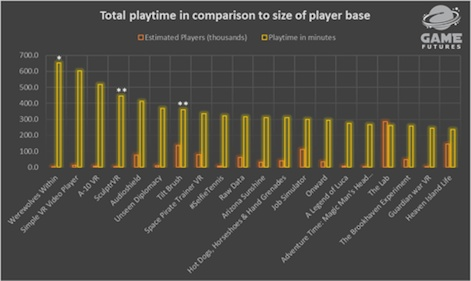 Is Arizona Sunshine The Fastest Selling VR Game? Developers claim $1.4 million month one sales, Vive by far the lead platform. Tracking puck leads the way to more diverse controllers for VR, HTC to give 1,000 to developers. Sony reveals most popular downloads for PS VR last year. Qualcomm Technologies Inc. officially introduces Snapdragon 835, its mobile processor built to better support mobile AR and VR. HTC has announced that TPCast’s wireless add-on for Vive will be available in the USA by the end of June. Lenovo VR headset prototype debuts ahead of CES 2017. IMAX’s new website reveals the first details about the kind of experiences consumers can expect from its experience centres. From the perils of experiencing VR in public to developing tech that can offer both immersion and integration, Ed Daly explores the future of consensual Virtual Reality. 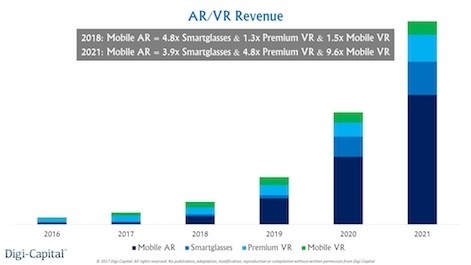 After a mixed year, mobile AR looks set to drive $108 billion VR/AR market by 2021. 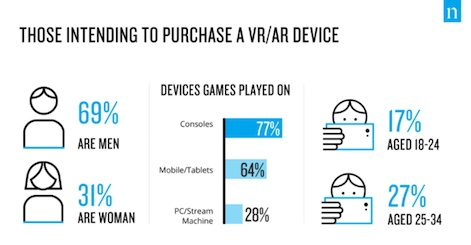 After a mixed year, mobile looks set to drive a $108 billion VR/AR market by 2021. Our industry panel of VR experts assesses the state of VR as it was represented at this year’s Consumer Electronics Show. Oculus’ troubled start to the year continued as the court ordered it to pay $500 million in the Zenimax case, despite finding the company not guilty of technology theft. 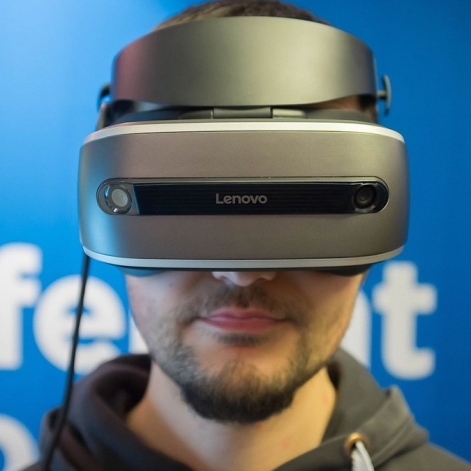 The first images were released of the third party Windows Mixed Reality headsets from the likes of Lenovo, HP and Dell that would be released in October. Microsoft was not one of the founding partners in the new OpenXR initiative that was announced this month. Much of the XR industry voiced its concern over Donald Trump’s election win to become President of the United States of America in November 2016. Unity Technologies took direct action just three months into his term when Trump announced his intentions of an immigration ban by offering to sponsor 50 affected developers to attend Unite Amsterdam. Hardware manufacturers show a range of form factors and wear styles, based on core Microsoft technology. Mark Zuckerberg uses earnings call to reiterate that VR is on a 10-year course to profitability. Industry leaders join forces to create the OpenXR Working Group and establish the VR and AR industry standard. Samsung has announced its updated Gear VR, along with the first look at its new controller. Japanese entertainment company is first VR platform to release sales figures, targets one million units by mid-April. Zenimax claims a half-a-billion award isn’t enough, files injunction against Oculus. Outside of the Facebook Farrago, Microsoft brought its recently announced WMR headset to GDC, while Alex Kipman, Technical Fellow at Microsoft, got our hopes up for a console rival to PS VR by blogging, “Our plan is to bring mixed reality content to the Xbox One family of devices, including Project Scorpio, in 2018.” The company has since stepped back its ambitions in this area to focus on its core PC hardware. Co-founder works his last day at the company, no reason given for his departure. Windows MR Headsets will work with all XBox Ones as well as PC, developer kits start shipping this month. 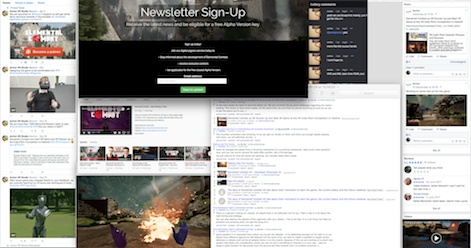 VR platform gets Rooms update, Events, Facebook Livestreaming, and voice recognition. Google reveals that 10 million headsets have led to 160 million app downloads. Epic game free for all Touch owners, complete with the Robo Recall Mod Kit. Criterion’s lead designer spoke exclusively to us about developing a Star Wars game and the unique challenges and opportunities about developing for VR - including how they solved motion sickness. Graham Breen, Program Manager EMEA Virtual Reality at HTC Vive, talks to us about trackers, audio straps, Viveport, performance to date and what’s next for Vive VR. Petur Thorarinsson of Solfar revealed the tricks of the trade in his VRDC panel on Monday. 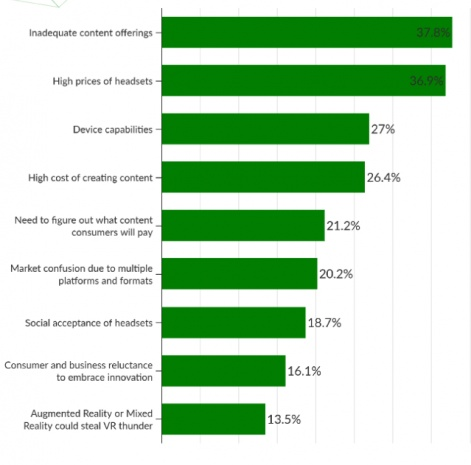 American content consumers will lead market growth to $143.3b in 2020. Focal Point: Blink And You Miss It? Is the teleport mechanic VR’s silver bullet to the problem of motion sickness, or do developers have a duty to offer a more in-depth locomotion system? Vive celebrated its first birthday with free content and a welcome hardware discount in the same month that Viveport Subscription launched. There were a couple of interesting personnel changes, as Apple furthered its AR ambitions with a NASA hire, while Microsoft gained Oculus’ Marketing VP. Speaking of Oculus, more than 4,000 delegates attended Facebook’s 10th annual developer conference, F8 in San Jose. And following speculation over Palmer Luckey’s surprise departure the month before, the co-founder changed his Facebook profile picture to Obi Wan Kenobi with the words, “If you strike me down, I shall become more powerful than you can possibly imagine." Vive Studios' Arcade Saga free to existing customers and £100 hardware discount for new customers. Did Palmer Luckey Jump Or Was He Pushed? 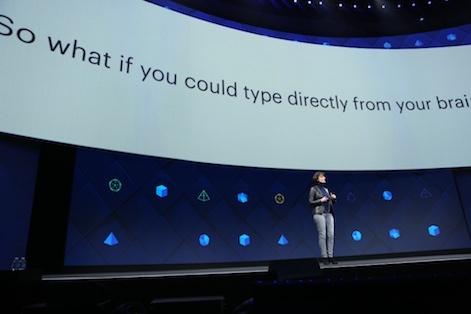 We’ve compiled all the big stories and announcements from Facebook’s 10th annual developer conference into one executive summary, from Camera Effects and social Spaces to computer learning and AI. New OS from Microsoft to include VR and MR support. 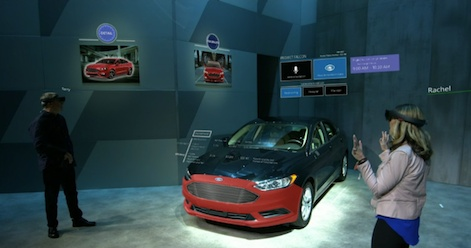 Redmond giant takes CMO from Californian VR rival. HTC announces bolt-on solution from Beijing ViveX partner, pre-orders open next month. John Riccitiello tells us that despite seeing the beauty of VR/AR, the consumer package is incomplete. Series of high-end VR experiences to start with Justice League and Aquaman for IMAX VR Centres; other VR platforms to follow. 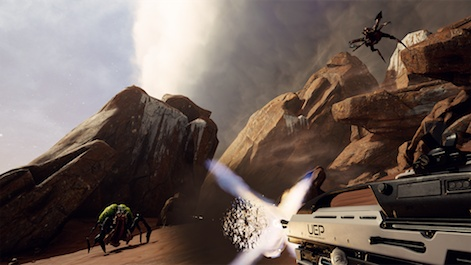 As we started to see AR steal the spotlight from VR and standalone headsets hailed as an essential tool to make it in the mainstream, May brought the Aim controller to PS VR and with it, what may well be your humble Editor’s game of the year - Farpoint. And it seems the general public agreed, with the game flying into the UK charts at number two - the highest entry for any VR game so far. Google used its I/O17 event to draw out a roadmap for Daydream that included a 2.0 update, Instant Preview and Seurat, as well as announcing a standalone headset. That became HTC’s Vive Focus, which has since been marked for a China-only release with a successful launch awaiting in December. 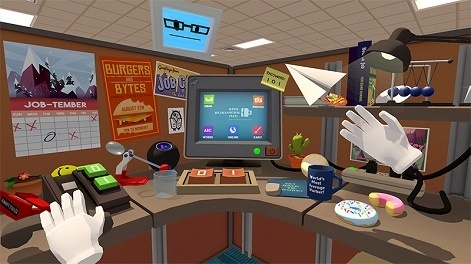 The search engine giant also acquired the award-winning Owlchemy Labs, known for its quirky Job Simulator. Microsoft revealed its all-new 6DoF VR controllers at Microsoft Build 2017, while its WMR dev kits opened for pre-orders. New private equity funding puts Californian engine company’s value at $2.6 billion. 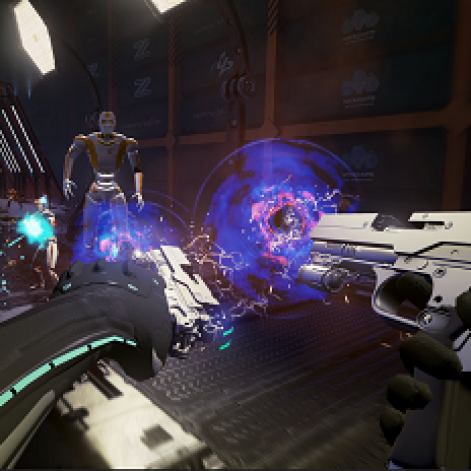 PS VR first-person-shooter makes the highest chart entry in the UK for any VR game to date. Mark Zuckerberg positions VR as a big part of the company’s future, not part of its current financial earnings. Legendary audio-visual company sets its sights on smartglasses with new Virtual Cinema Display Certification program. Latest Oculus update fully supports roomscale VR with three sensors; two sensors still experimental. The Oculus court wrangling continues and drags Samsung into the ring too. 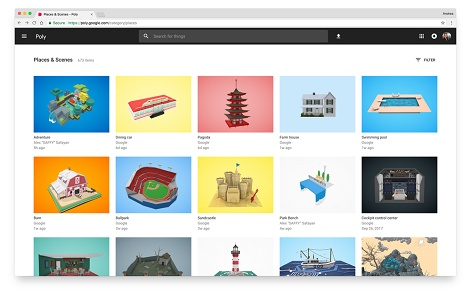 Google shares details about WorldSense; a Daydream update; Chrome VR; Chromium AR; Instant Preview and achieving desktop-level graphics with a mobile GPU. New hardware consists of a pair of 6-degree-of-freedom controllers specifically designed for VR, using the headset cameras for tracking. 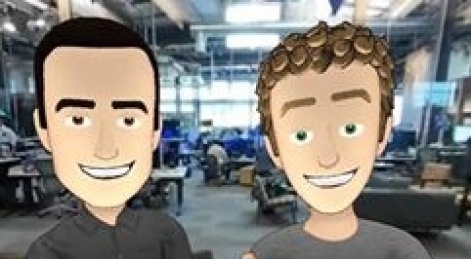 Facebook announces it is to close its Californian VR film division; 50 staff face redundancy. Mark Zuckerberg looks forward to AR e-commerce, democratising development, and how AR could mean the end of TV as we know it. 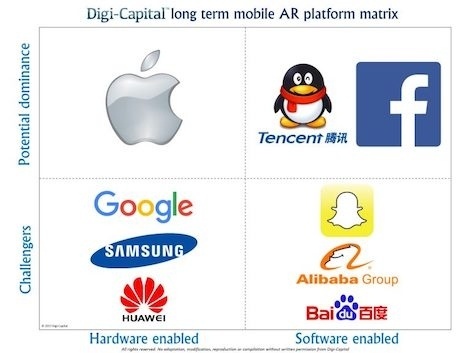 Tim Merel, founder and MD at international tech advisors, Digi-Capital, explores how Apple, Facebook and Tencent could dominate mobile AR, with Google, Samsung, Huawei, Snap, Alibaba and Baidu as challengers. ILMxLAB offers an insight into Google’s new technology that enables high fidelity rendering of scenes in real-time on mobile VR. 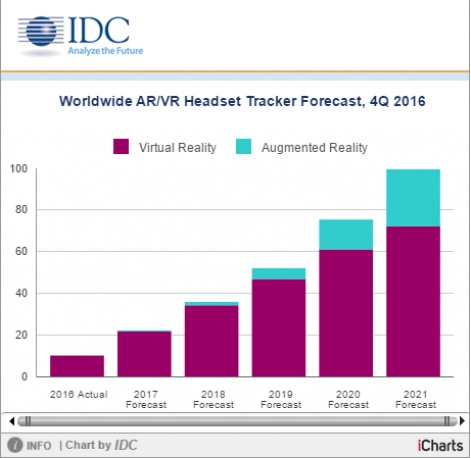 New forecast from Superdata shows continued growth for VR in business next year, both in investment and R&D programs. 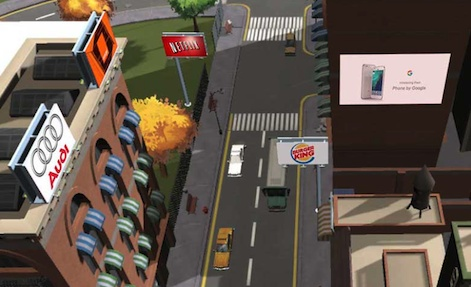 Job Simulator developer now part of the Google empire, pledges to continue creating high quality multiplatform VR. Bristol-based mid-air haptic pioneer secures series B funding for global expansion. Antilatency will use seed funding from IIDF VC to accelerate the release of ALT: Anti-latency tracker. 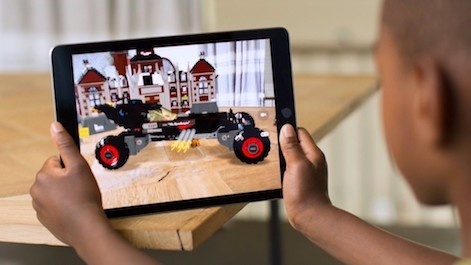 June was the month that Apple finally threw its hat in the XR ring at its Worldwide Developer Conference with the news that not only would the iOS 11 update include ARKit on iPhone, but that VR would also come to Mac. One thing was notable by its absence at E3 this year; XBox VR. 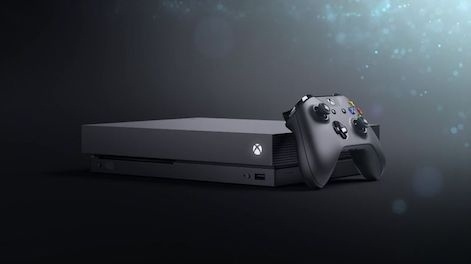 Head of XBox, Phil Spencer didn’t even mention it in the presentation and it was only afterwards we learned that Microsoft intends to focus on PC for WMR. 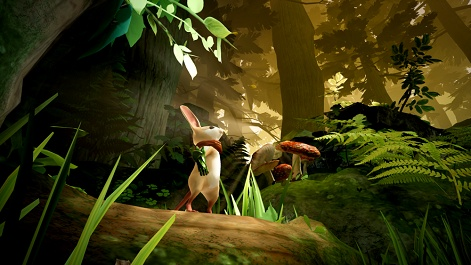 Sony’s media showcase only showed a handful of new PS VR titles, including our first look at Moss. At least we learned that Bethesda was bringing a trio of its biggest IPs to VR with Skyrim, Fallout and Doom. 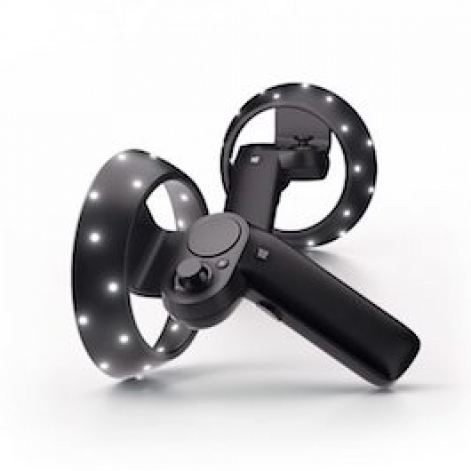 While XR didn’t have a big presence at the main event, VR was an emphasis at the E3 PC Gaming pre-show where we learned about Echo Arena and the $1m VR Challenger League from Intel, Oculus and ESL. Another June event, the XR Connects roadshow pulled into San Francisco, where VINDICTA by Game Cooks won first place in the VR Indie Pitch. The next event in the series is XR Connects London, 22-23 January 2018. The 2017 PlayStation conference at E3 gave our first look at a selection of third-party PS VR titles, including platformers, shooters, horror, a mouse brandishing a sword and... fishing. WWDC reveals VR for iMac with support from HTC, Valve, Unreal and Unity. Oculus co-founder pledges financial support enabling Vive owners to use Oculus software. Mayor Bill de Blasio reveals plans for a 15,000 sq ft facility with $6m public funding to position New York as a global leader in the VR/AR industry. 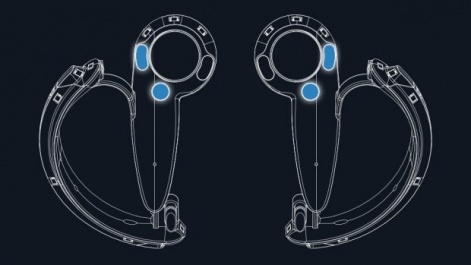 New video shows Valve’s next gen VR controller in action. 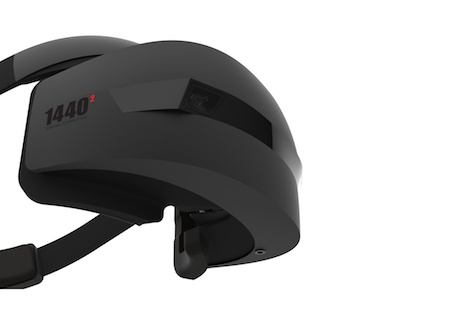 Finnish tech co breaks cover with VR/AR/MR headset it claims is beyond state-of-the-art. Mobile VR company pledges $1m to support developers that create new projects for their platform. Massive – and massively popular – RPG gets a VR reincarnation this November. The long-awaited Fallout 4 VR game gets a release month, while Doom VFR is revealed as a full standalone title. Dominic Mallinson reveals the work involved in bringing the PS VR to market, as well as future innovations such as display focus, gaze tracking, talking to games and brainwave interfaces. 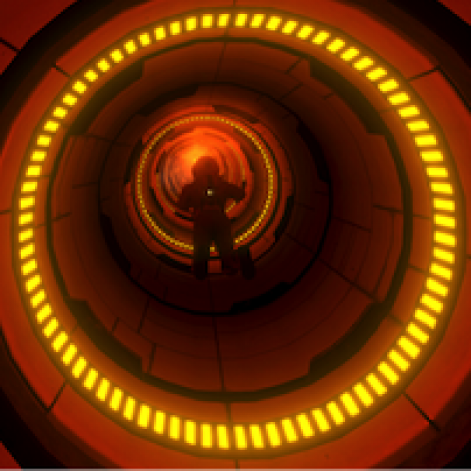 Enterspace to open a series of public VR facilities utilising StarVR hardware. 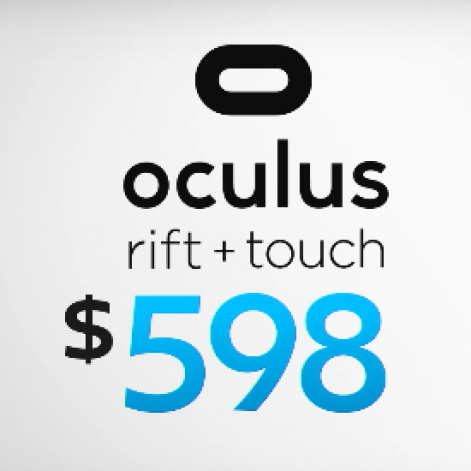 Summer started here with Oculus dropping the price for Rift and Touch to $399. Whether that was a response to a problematic first half of the year, or to close Vive’s market lead, it was great news for the consumer. After its reveal at last month’s E3, qualifying opened for The Challenger League, while the BBC opened its Taster hub. 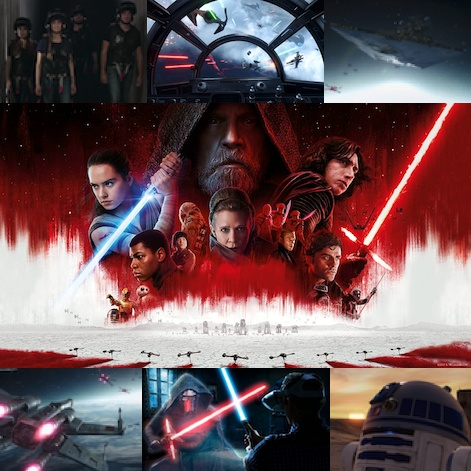 There was a movie flavour going into the summer break, with Lenovo’s Star Wars themed AR hardware and the first trailer for the 2018 Spielberg movie, Ready Player One. VR eSports now a thing as Oculus, Intel and ESL put together a $200K prize pool for America and Europe. 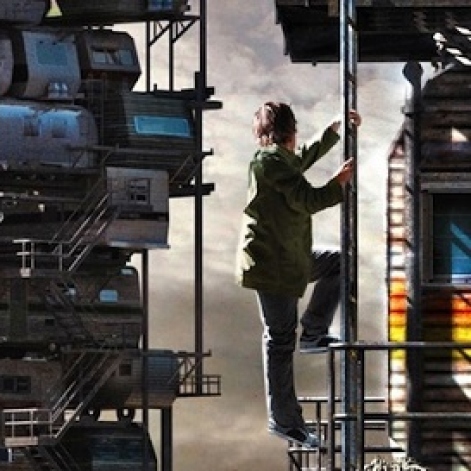 Warner Bros and HTC Vive release teaser trailer for 2018 VR-inspired movie blockbuster. 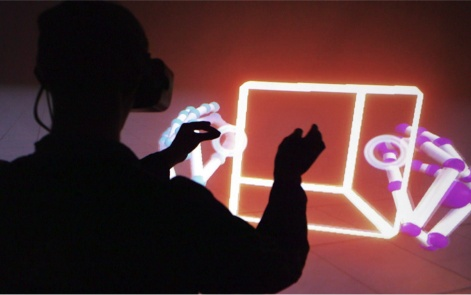 Our first look at the six start-ups selected for new VR/AR incubator program. 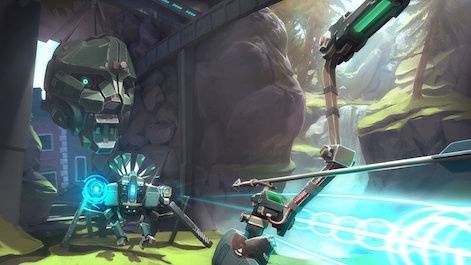 Ex-ARM management and former Sony Guerrilla Cambridge staff seek investment and new talent for Virtual Arts. Free Blocks app makes making models in VR child’s play. British broadcaster’s new app features Planet Earth II alongside other BBC Three content and full-length documentary, One Deadly Weekend in America. Series C funding for global expansion, technology development and move into other sectors. The expected summer lull hit in August, proving that XR people like to take summer vacations as much as any other industry. Apple had already announced its AR ambitions for iPhone, but a newly published patent showed that Cupertino is looking ahead to wearable tech and smartglasses. It didn’t look like being such a great summer for Altspace VR, with the prospect of a permanent vacation just days away as the social VR company announced it was to close. 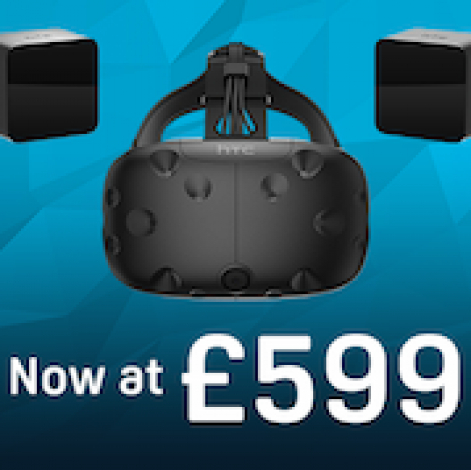 HTC’s room-scale VR gets £160 discount, still £200 more than the competition. Bloomberg: Will HTC Sell Its Vive Division? Speculative article causes XR sites to enter meltdown. 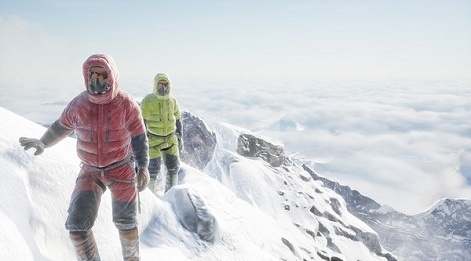 Social VR provider fails to secure additional funding, shuts down Thursday. 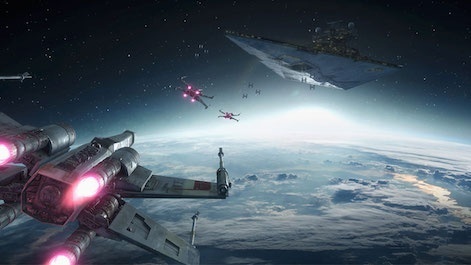 Force Friday II sees a galaxy far, far away come to Earth's retail stores and websites. Supercell partners with Facebook to celebrate the games' five-year anniversary. Smash hit mobile FPS game lets users look on as matches are played out on their coffee table. Our panel of industry experts identify revenue streams for start-ups and studios of all sizes working in VR, AR and MR. XR. VR content distribution firm gets Series A Funding Led By RTL Group. After Bloomberg suggested last month that HTC was to sell its Vive division, it turns out the Taiwanese company was actually selling its Pixel smartphone division to Google. 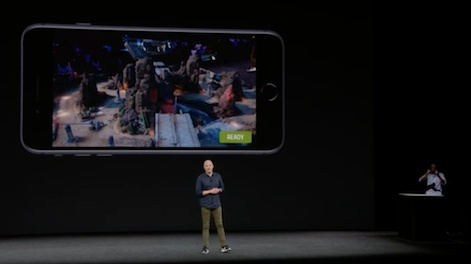 Apple’s Special Event was a disappointment for AR, with only brief looks at Warhammer 40,000: Freeblade from Pixel Toys; an example of how users could access real-time stats for MLB games; and the Sky Guide star map. Atli Mar, CEO and Co-Founder at Directive Games showed their game on stage, called The Machines. 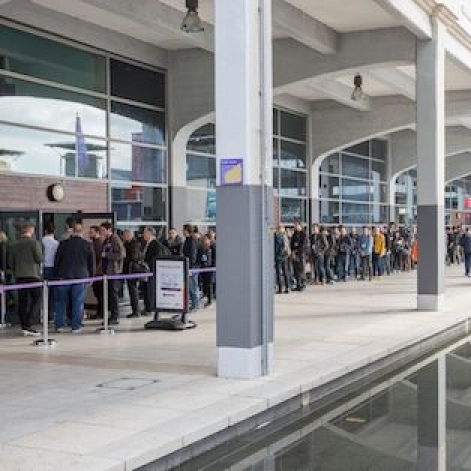 September saw the last XR Connects event of the year as the conference and expo reached Helsinki. The next event in the series is XR Connects London, 22-23 January 2018. Taiwan co retains Vive and smartphone divisions as Google picks up R&D and manufacturing on its Pixel handsets. iPhone 8 drives AR; new gyroscopes and accelerometers; Warhammer; MLB; Astronomy; and multiplayer Sci-Fi, The Machines. 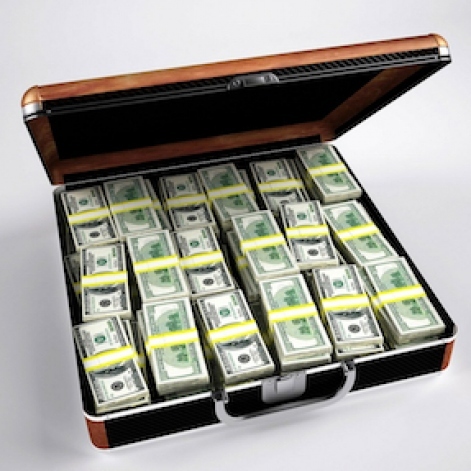 Secretive start-up may be about to tie up an additional half-a-billion dollar funding. Rockstar Games brings ‘40s sleuth-em-up to HTC Vive this November. With six manufacturers releasing consumer versions of Microsoft’s WMR hardware, we line up what consumers will pay and when. 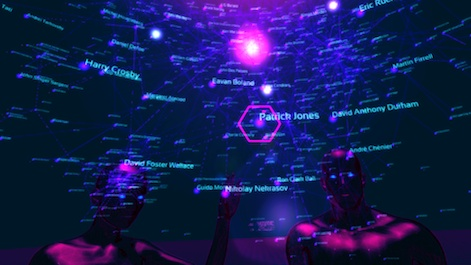 Leading social VR service plans to use funding to power the future of the metaverse. October had barely begun before conference silly season was with us, kicked off by Microsoft’s WMR special event, where we learnt that the company sees Mixed Reality as a continuum of everything between AR and VR. So that’s clear then. Oculus Connect 4 was up next and the reveal of the standalone Oculus Go to be released next year. It’s intended to sit in a range of hardware, somewhere between the smartphone powered Gear VR and PC’s Rift. Zuckerberg managed to completely blank his own apology just hours before, for the ill-considered Spaces appearance in hurricane-ravaged Puerto Rico. 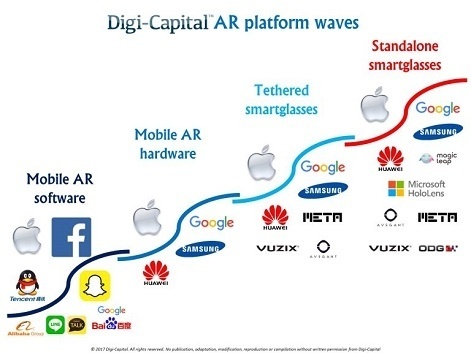 The XR industry saw $1.8B AR/VR Investment In Last 12 Months To Q3 2017, with AR taking the lead from VR in the AR-Kit/ARCore landscape. And it was great news for social VR company, AltspaceVR, as it was saved from closure by Microsoft. Artist Sebastian ErraZuriz digitally vandalises virtual installation to protest, “An imminent Augmented Reality corporate invasion”. 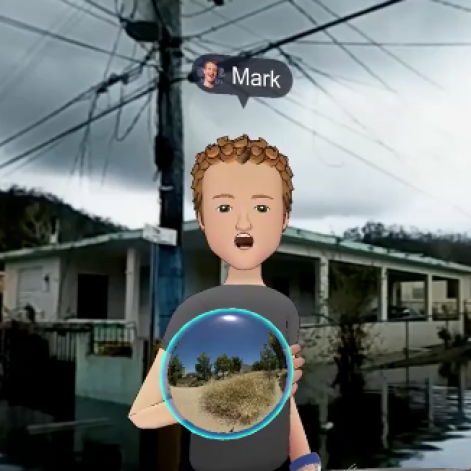 Facebook CEO’s virtual appearance in disaster-stuck Puerto Rico drew public criticism, raises questions about empathy and experiences across mixed media. 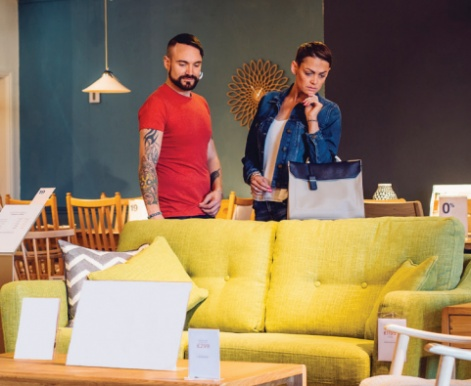 UK publication offers free VR viewers this weekend to promote its immersive content. America’s biggest chain of cinemas doubles down on VR with two sizeable investments. 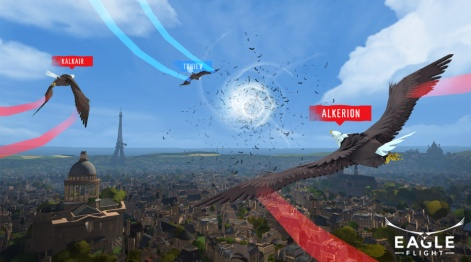 David Gattig, CEO & Co-Founder at Avrlon VR Studio, shares strategies to help indie developers reduce risk and increase the chances of creating a commercial success. 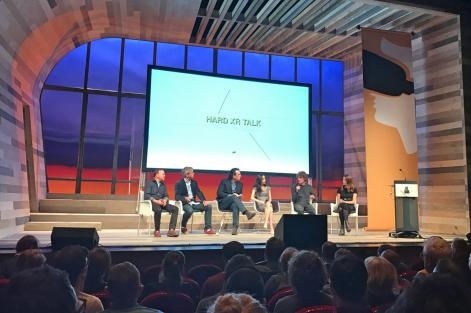 VR can change the world, insist speakers at Amsterdam's three-day conference. Taiwan hardware firm takes 66.7% of VR venture. Social VR start-up to join the Windows Mixed Reality ecosystem, service to continue unaffected. 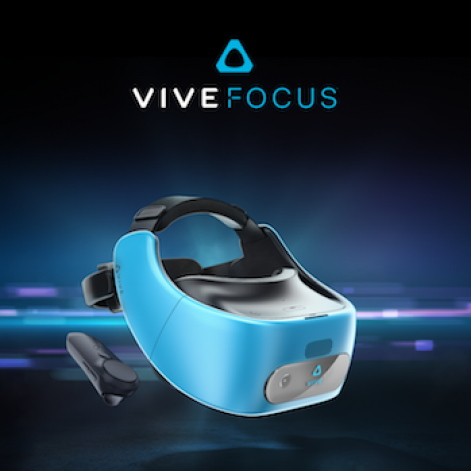 There’s a strong consensus that standalone headsets will be crucial in bringing VR to the mass market and November’s Beijing Developer Conference gave us our first look at the long anticipated Vive Focus from HTC that would be launched the following month. We were disappointed by the news that one of the first big studios to adopt VR would pull out of the sector as CCP cut 100 jobs worldwide. But VR as a whole made significant progress as Alejandro G. Iñárritu’s Carne y Arena became the first immersive experience to win an Oscar. 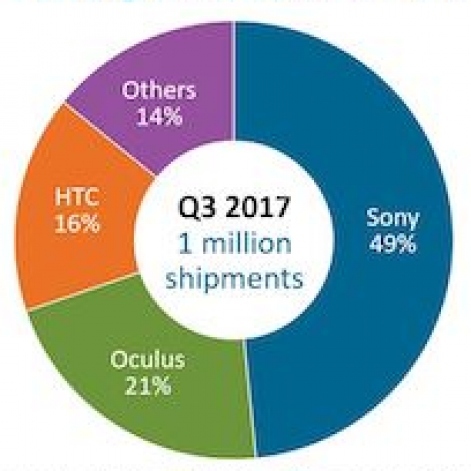 Virtual Reality headset shipments also exceeded 1 million units per quarter for the first time in Q3. 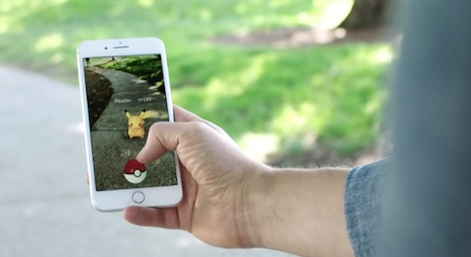 There were some big deals done in November, with Apple spending $30M on an AR Start-up; Pokemon GO devs Niantic raising $200M; EA acquired Titanfall devs for $455M; and China’s mobile giant, Tencent, snapped up 12% of Snap. 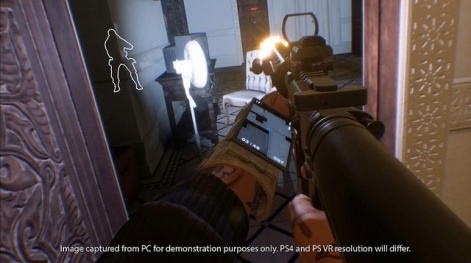 We were told to expect some VR reveals to come out of PlayStation’s media showcase at Paris Games week and that’s exactly what we got; including the spiritual successor to hugely popular London Heist demo, Blood And Truth. New chipset and new OS to join new display technology, according to 'people familiar with the situation'. Camera manufacturer joins the reimagined Google Glass and aims its AR tech at enterprise. New online resource of downloadable objects and scenes aims to make content creation easier for everyone. As investment in VR slows down, what advice did this industry panel have for indie devs at the London event? 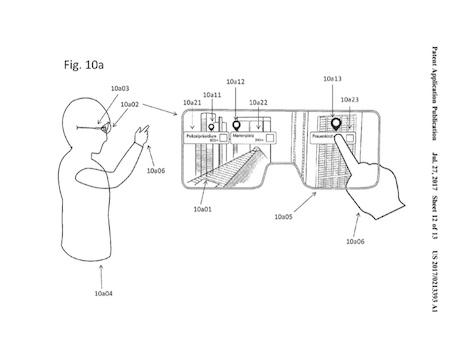 Florida’s Magic Leap finally showed the world the AR hardware that has convinced investors to put nearly $2bn behind the firm. Rolling Stone’s Glixel was given an exclusive demo of and reveal of Magic Leap One that social media on fire. PS VR increased its market share lead as it passed another milestone ahead of the festive season with total sales of two million units. 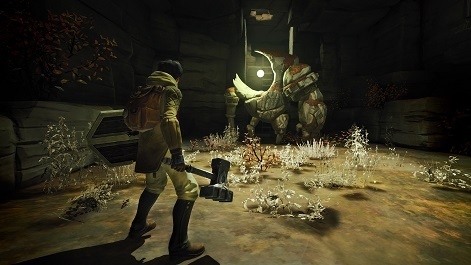 We were also treated to another raft of PS VR reveals at the PlayStation Experience event in Anaheim, California that featured The Last Guardian VR demo, Golem, and Aim compatible 4v4 FPS, Firewall Zero Hour. 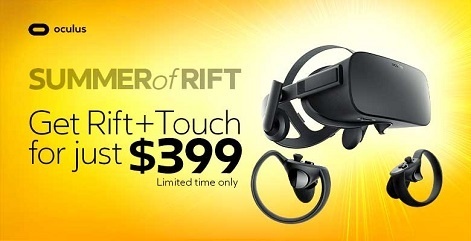 Rift got its Core overhaul With the 2.0 Update that reimagined the UX as a Touch interface for the controller’s first birthday, an occasion that was marked by a one-day sale on the Oculus store. HTC’s standalone Vive Focus was off to a good start with a $150M order on day one for the China-only hardware, while Apple Released its VR Capable iMac Pro - for £5,000! 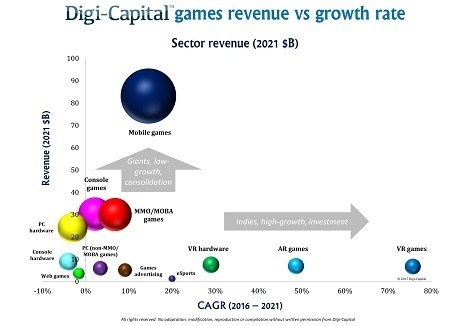 Contrary to claims that interest in VR has waned and naysayers proclaiming it to be a fad similar to 3D TV, investment in the sector continued to grow apace throughout the year. 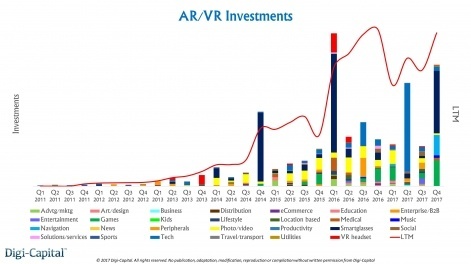 XR investment in the last quarter of 2017 topped the $1 Billion mark, dominated by increased interest in AR and led by Magic Leap and Niantic. That record-breaking Q4 brought the total investments in VR, AR and MR for the year to $2.5 billion. 26 new companies to receive investment from HTC’s global incubator to advance Virtual and Augmented Reality. The selected Virtual Reality projects will receive a total of $620,000 between them, including networking, training and mentorship access. New processor to create a more powerful platform for immersive experiences, including VR and AR. The £5,000 price tag is daunting, but the new iMac is a beast when it comes to VR. 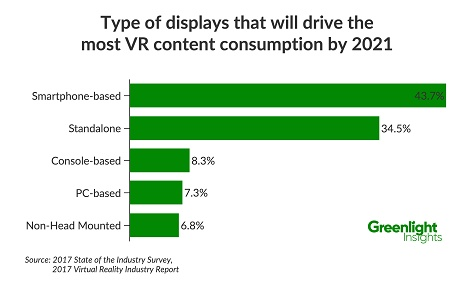 An official filing details plans to create new Virtual Reality hardware with a curved display panel and larger field of view. Speculation regarding Huawei launching a Virtual Reality headset finds new ground as XR controller officially filed with the FCC.